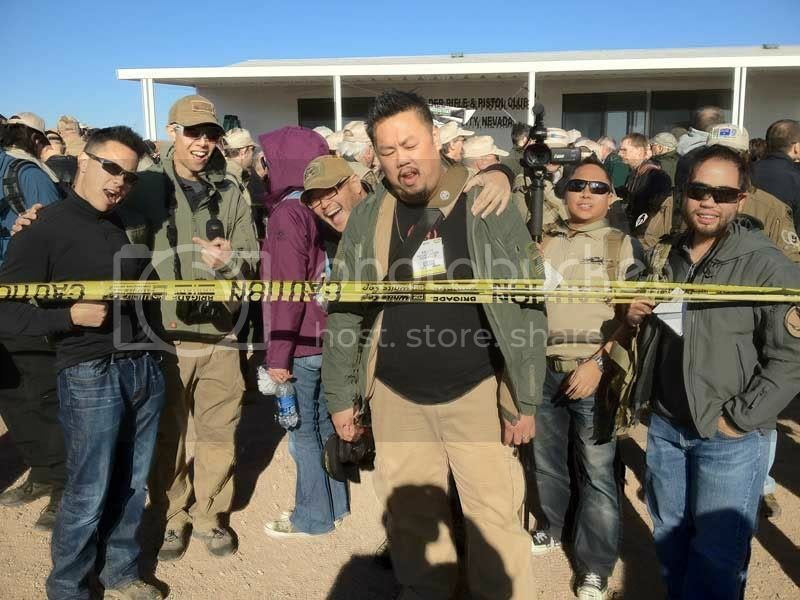 DW Staff just returned from SHOT Show 2012! This year, we added a few new contributors to the DW staff! Iron Horse – OIF veteran, airsoft retailer employee and gun enthusiast. New Aziel – Airsoft and gun store employee and gun enthusiast. Kyle – Gun store employee and Echo 1 Lover. Wedge – Gun store employee, airsofter and avid shooter. uscmCorps – Entertainment industry professional and PTS by Magpul representative. This year we had a large crew able to attend Media Day at the Range. This is the day before SHOT Show, where you can actually shoot many offerings from firearms manufacturers. Any pictures or video taken outdoors were most likely at Media Day at the Range. Indoor shots or video were taken at SHOT Show. All pictures and videos are being added and updated on airsoftmonkey.com. Javelin Airsoft Works AK47 Battle Veteran EBB (Electric Blow Back) airsoft rifle is 1 a new series of JAW Line. The Battle Veteran series has simulated wear marks on the metal body which gives it a more authentic look. This rifle has a real wood furniture and metal body. It takes a stick style battery, but the top cover and fore grip have been modified to take a longer, 9.6 volt battery. What most impressed me, is this AEG has mostly AK47 furniture and body parts. This isn’t just a Javelin AK74 that had the body sanded. The body and wood furniture are replicas of the original AK47. The rifle I got for review didn’t include a metal metal flash hider, so you’ll want to replace the plastic orange one with a AK47 specific FH like a slant break. The included MOSFET is also a nice addition. It’s in an aluminum housing and can be moved out of the body for battery installation if needed. I test fired with an 11.1 volt, 20c stick Lipo battery and had no issues. A 9.6 NiMH stick battery will also work, but it’s a very snug fit. Chronograph results at around 416 fps with .20 bb’s.